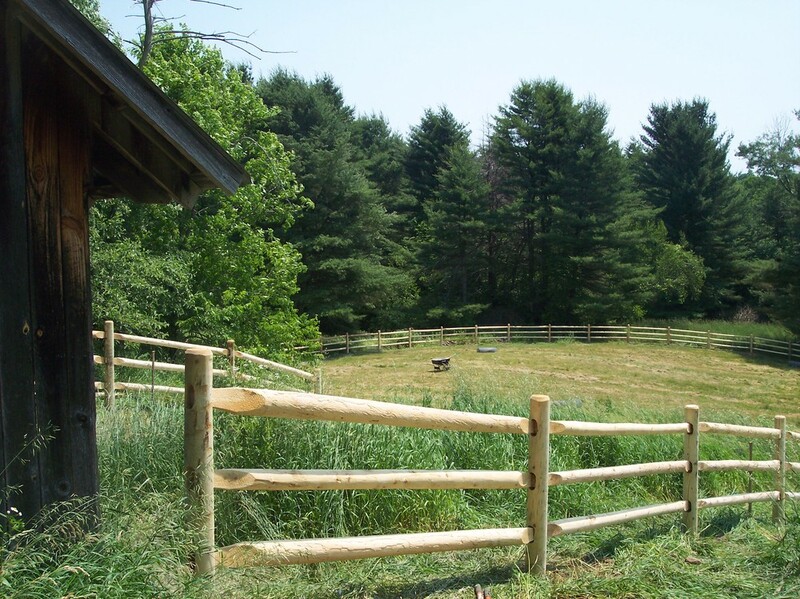 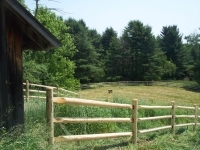 Round cedar fencing is attractive and durable. 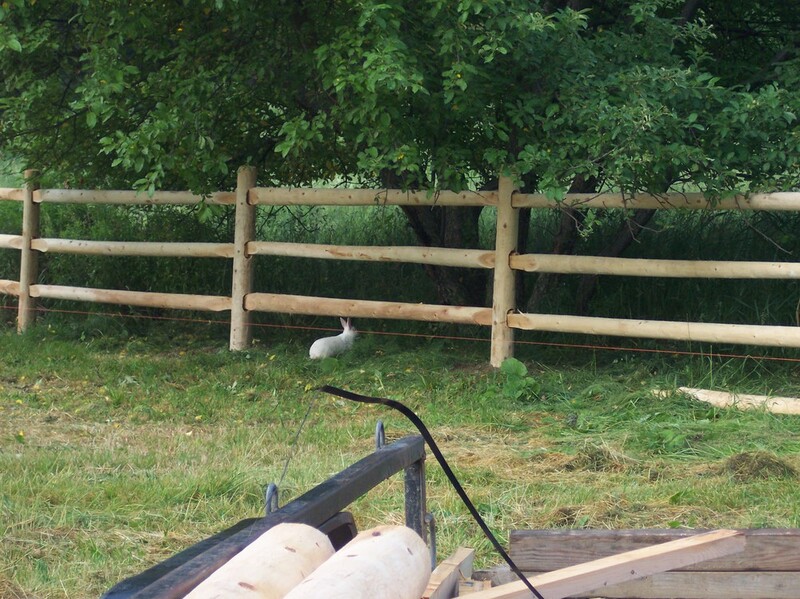 We can add nearly invisible mesh to contain children and pets yet retain that rustic charm. 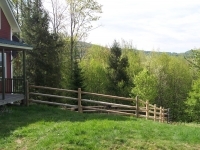 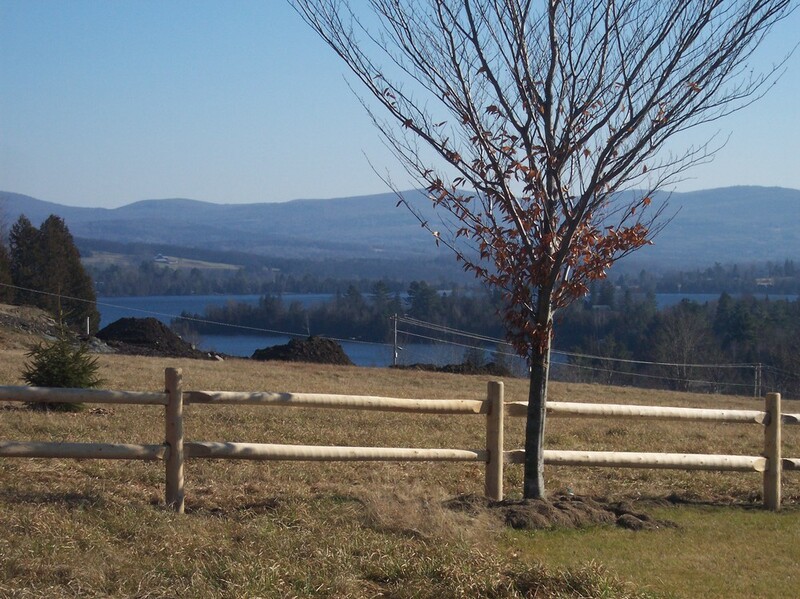 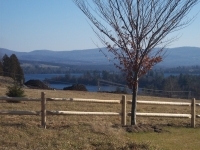 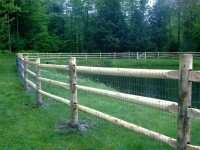 This 2-rail white cedar fence overlooks Lake Caspian. 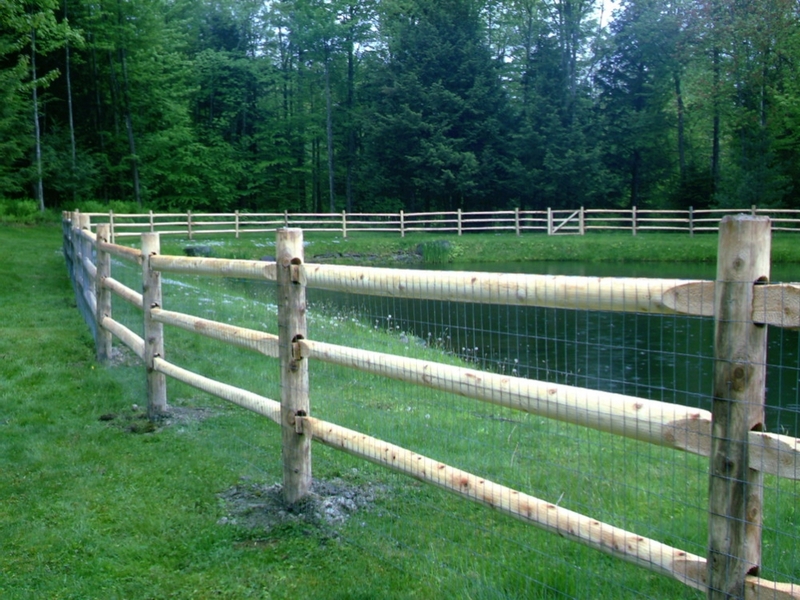 A 3-rail paddle rail style with mesh-to keep kids and animals out of a retaining pond. 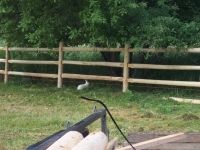 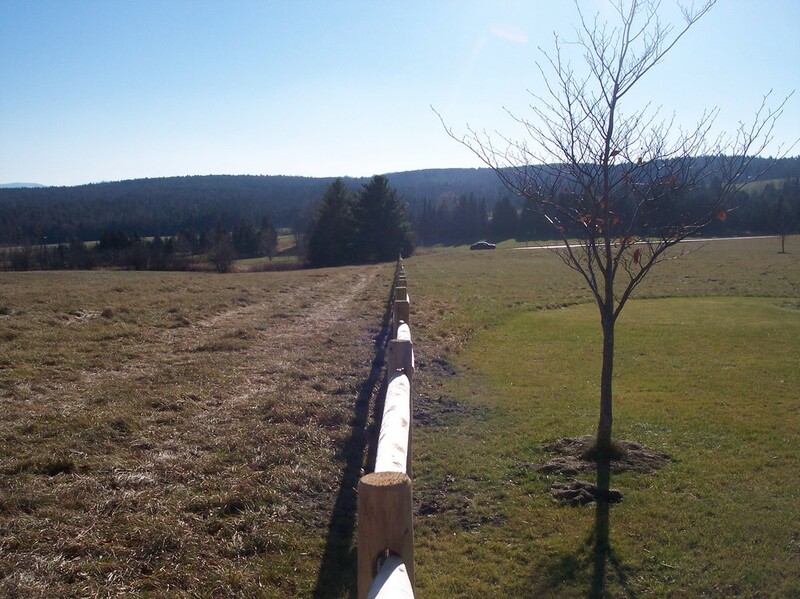 This 3-rail paddle rail fence was built to contain sheep. 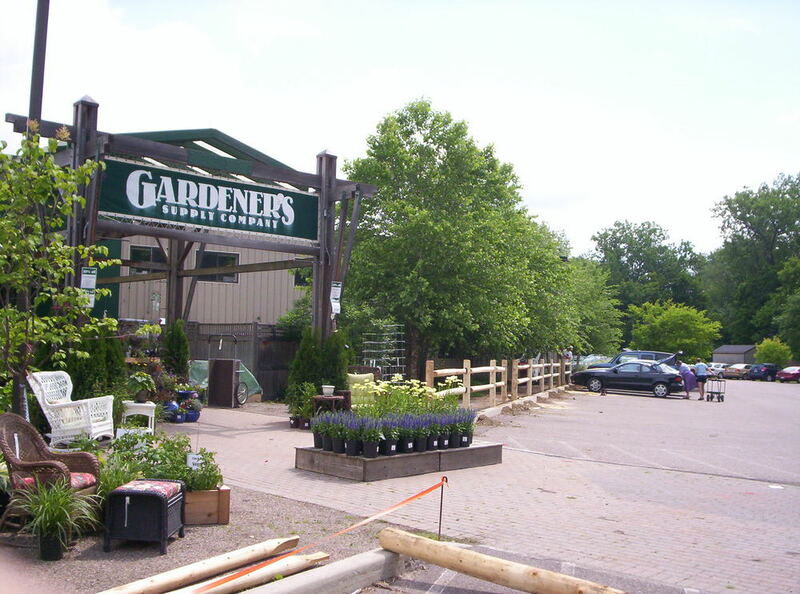 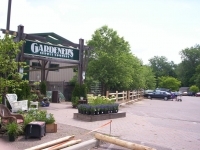 A paddle rail fence to define the parking area at Gardener's Supply. 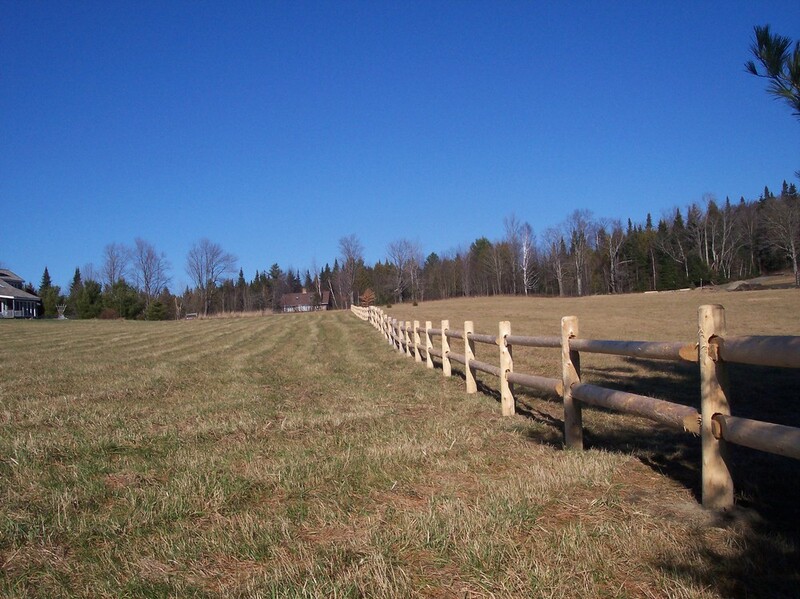 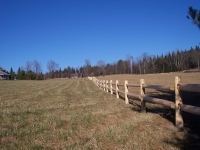 This 700 foot long fence traces the property line between neighbors. 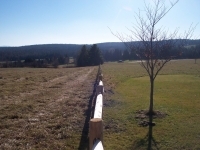 Perfectly straight, a boundary marker over 600 feet long. 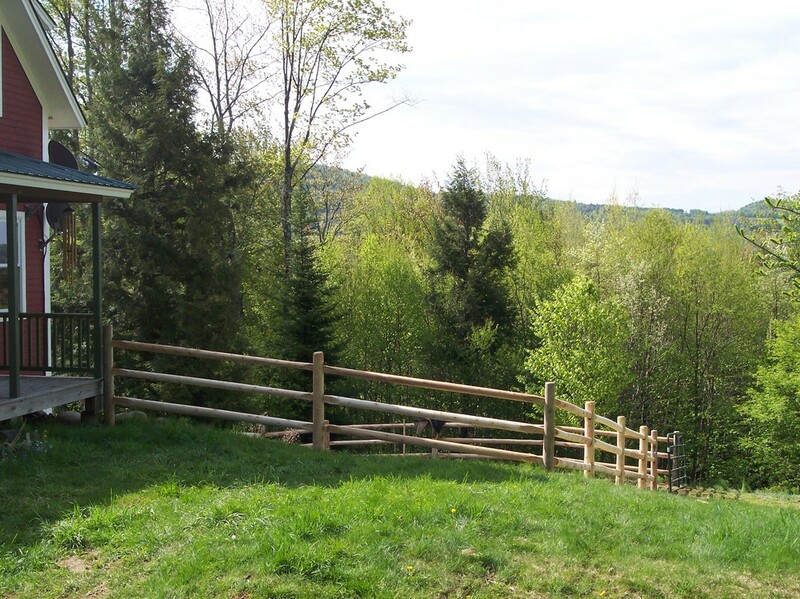 This backyard fence is located in Albany, VT.